The event of the year, Madden Challenger Mexico arrives in our country to find the best gamer of Madden 18. Participants will be able to test their skills and be part of the first online tournament of this title in Mexico, which will take place from November 6 to 12 of this year and whose winners will have a guaranteed place in Madden Challenge of the United States. 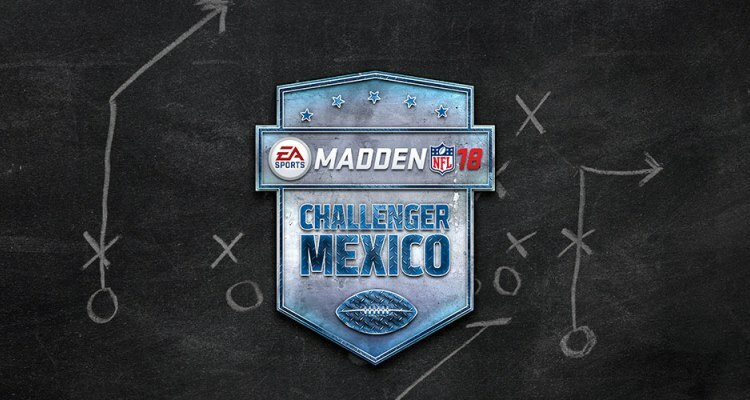 From October 23 to November 4 registration will be open on the official tournament site www.maddenchallengermx.com, the only thing necessary is to have an active account on XBOX One or PlayStation 4, where Madden Challenger MX is available . The regular phase of the online tournament will take place from the 6th to the 12th and the participants will have the opportunity to demonstrate all your skills, overcome the elimination phase and look for a place in the finals that will be played and broadcast live on November 19. The winners of each platform will have a secure place in the online qualifiers of Madden Challenge in the United States. For more information visit the official site of the Madden Challenge. For more Madden tips and tricks, stay tuned to Madden-Store. You can choose www.madden-store.com where you can buy cheap Madden 18 coins.